Filing taxes is a stressful process, but getting audited can be even more anxiety-inducing. The good news is that less than 1% of all tax returns get audited each year, and if you’re a middle-income earner, your chances are even lower. On the other hand, certain actions on your part could instantly increase your audit risk. Here are a few to steer clear of at all costs. It’s not just your salary you’re required to pay taxes on. The IRS also gets a share of additional earnings you collect during the year, whether it’s interest from a bank account, dividends from investments, or compensation from a side job. And if you fail to report that extra income, chances are, the IRS will notice. So don’t ignore the 1099 forms you get in the mail that spell out your additional earnings — the IRS gets copies of those, too, and if the agency has income on record that you don’t report, it could spell trouble. Also, remember that if you work for a company that pays you under $600 throughout the year, that employer isn’t required to submit a 1099 for that income — but that doesn’t mean you don’t have to report it. There’s nothing wrong with claiming the tax deductions you’re entitled to, whether it’s mortgage interest, medical bills, or business expenses. But if you guess at your deductions rather than go with hard numbers, the IRS might choose to further investigate. One big mistake tax filers tend to make is rounding their deductions so that what should be a $5,941 claim becomes $6,000. That might seem more convenient to you, but if that number looks too clean to the IRS, it might ask for proof that you’re telling the truth. Maybe you racked up a lot of business expenses in the course of getting your freelance venture off the ground. Or maybe you’re a generous person by nature and therefore chose to give a large percent of your earnings to charity. There’s nothing wrong with claiming valid deductions in full on your taxes, but know that if they’re disproportionately high in terms of your income, your return might get flagged. For example, if you earned $50,000 but are claiming $20,000 in business expenses and $8,000 in charity, that looks a little shady — and the IRS is apt to call you out on it. That doesn’t mean those expenses aren’t legitimate; it just means you’d better be prepared with documentation to back up your claims. Sometimes, even the most innocent of mistakes can expose your taxes to further scrutiny. A good way to avoid those blunders (think careless math errors, for example) is to file your taxes electronically rather than on paper. The upside of using software is that it’s designed to not only catch certain errors, but identify key tax deductions and credits you might not have otherwise thought to claim. The IRS reports that the error rate for returns filed on paper is 21%. For electronic returns, it’s less than 1%, and that’s reason enough to do yours online. Remember, getting audited isn’t necessarily the end of the world. Most of the time, all it means is corresponding with the IRS by mail and answering questions the agency has about your return. 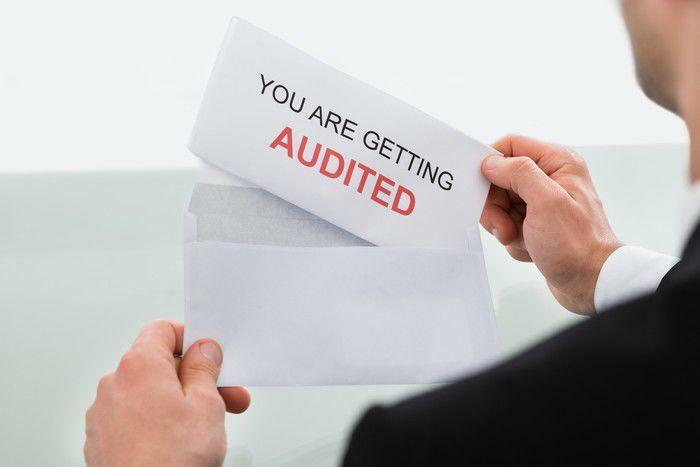 Still, most folks would prefer to dodge an audit than deal with one, so if you’d rather submit your taxes and be done with them, go out of your way to avoid the above mistakes.